不可以在床上跳跳跳。 (The doctor says, no more monkeys jumping on the bed.)….. 掉下来 （fall down), 不可以 （not allowed to). And they will also learn to count numbers from 1 to 8. （Gorilla let go the elephant, elephant, elephant. Gorilla let go the elephant. The zookeeper doesn’t know.)….. The original song is the famous The Wheels On The Bus. The tune repeats the animal vocabularies a lot which makes it easy for children to memorize. 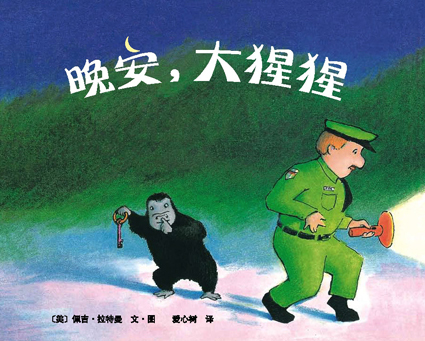 This entry was posted in Chinese Language Classes, Elementary Chinese, Immersion Chinese, The Use of Music in Chinese Learning and tagged Austin, Chinese class for children, Immersion class, Music in Language Class, Picture Book by cwmmeggie. Bookmark the permalink.